You don’t just want to recline. 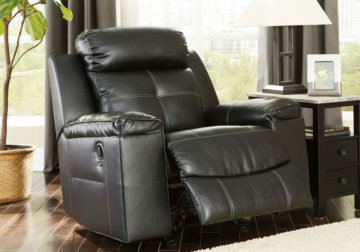 You want to recline in high design. 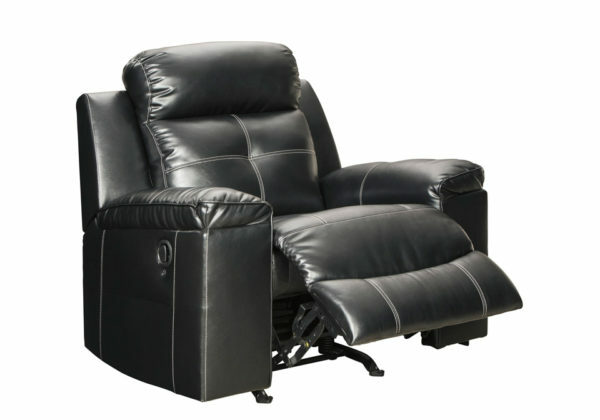 Wrapped in a fabulous black faux leather upholstery, the Kempten rocker recliner with 42″ high back is everything you long for—and then some. Ultra clean lines, subtle curves and sumptuous comfort make it a sight for sore eyes and tired muscles. 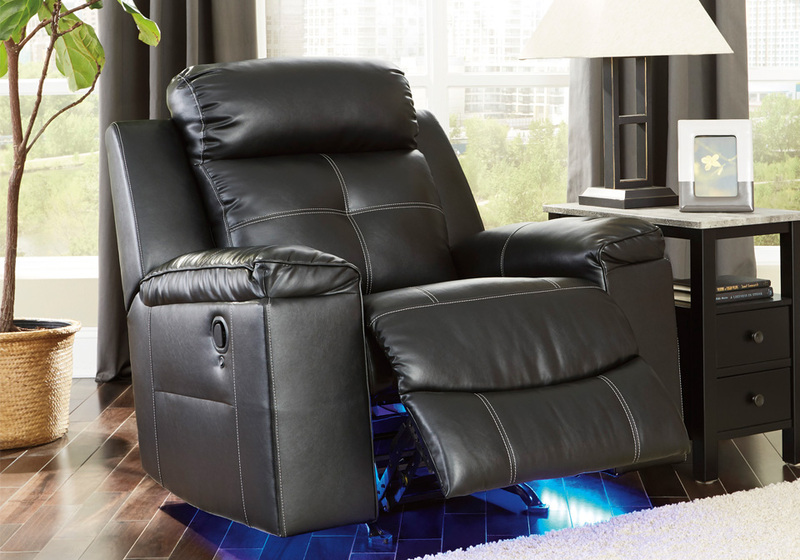 Here’s the showstopper: blue LED lighting along the chair base for a movie theater experience enjoyed from the convenience of home.